We have a nice little update for you that many have been asking for. One of ThingLink’s core features is the possibility to embed tagged images anywhere on the web. Embeddable features have always been a useful addition to other services such as YouTube, Flickr and Soundcloud, enabling the dynamic spread of great content across blogs or other websites. ThingLink now enables you to track all of the places where your images have been embedded, allowing you to see who is using your images and where. 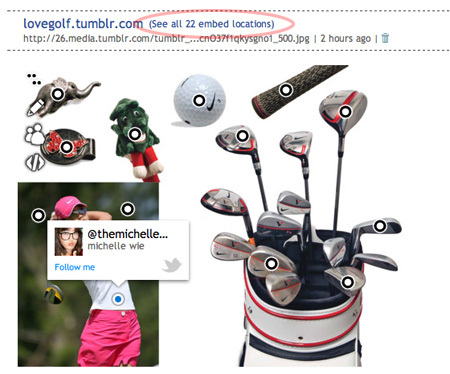 The feature is located on ThingLink’s dashboard above each of your images, but naturally if the image hasn’t been embedded elsewhere there is only one location (in the example below you would only see the URL http://lovegolf.tumblr.com). 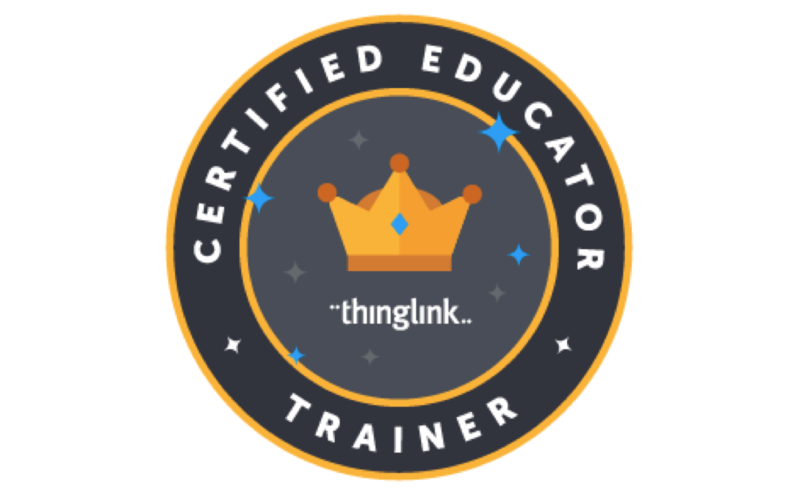 We believe that the updated embed feature opens up new perspectives for ThingLink’s users that want to either launch campaigns and track them in real time or just see how their images are spreading around the world. Now if you haven’t tried the embed feature yourself, you can try it out by hovering the top left corner and selecting embed image. This gives you a snippet of code which anyone can embed on any site to make your tagged image appear. 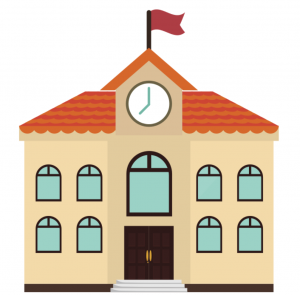 The best thing is that if you have links or tagged media in your image, the links and media still point to the place you specified regardless of where the image is embedded.